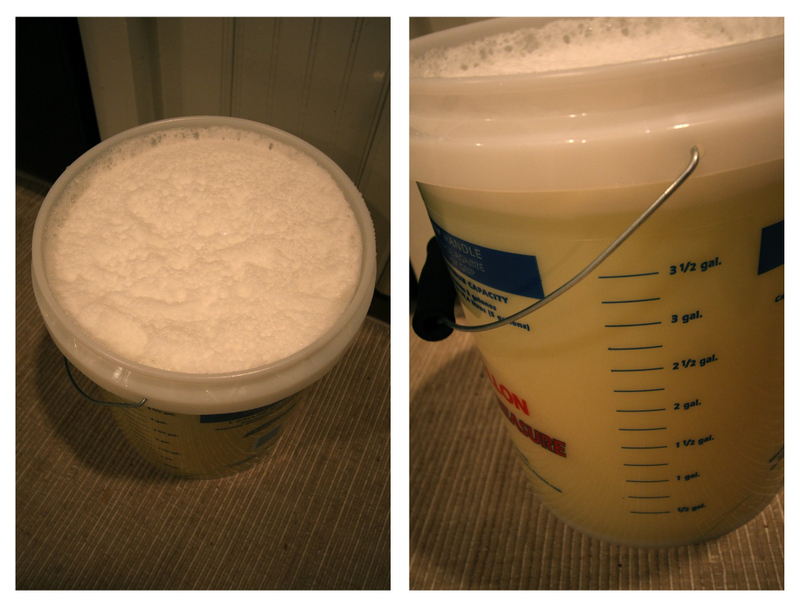 I know what you're thinking...how can anyone be so excited about homemade laundry detergent? Its easy. You see, its cheap to make, about $4 for 640 loads worth, its easy to make and it seems to work. A win on all counts, don't ya think? Because I knew you would be just as excited as I am, I thought I would share the easy-peasy recipe along with pictures from my detergent-making process. Grate bar of soap* and add to saucepan with water. Stir continually over medium-low heat until soap dissolves and is melted. *Watch out for your knuckles when grating the soap. I accidentally added a little blood to my recipe. Stir (it will be all gelled) and fill a used, clean, laundry soap dispenser (or really any dispenser) half full with soap and then fill rest of way with water. Shake before each use (will gel in between uses). Optional: You can add 10-15 drops of essential oil per 2 gallons. Add once soap has cooled. Ideas: lavender, rosemary, tea tree oil...I did not do this. You can buy them all online, but it is kind of pricey that way. I was able to find the Borax at Target, the Fels-Naptha at a local grocery store and the washing soda at ACE Hardware...though I did notice ACE carries the Fels-Naptha as well, so maybe check them out first for ingredients. You are impressed, aren't you? I'm SOOOOO impressed! You go girl!! IMPRESSED! Just called my husband...we're washing this way for now on! I love ways to live simpler...meaning less of a reason to live to work!